When you book Whitepoint for your wedding photography our commitment to your images doesn’t end on the day but is followed up with expert wedding photography retouching. 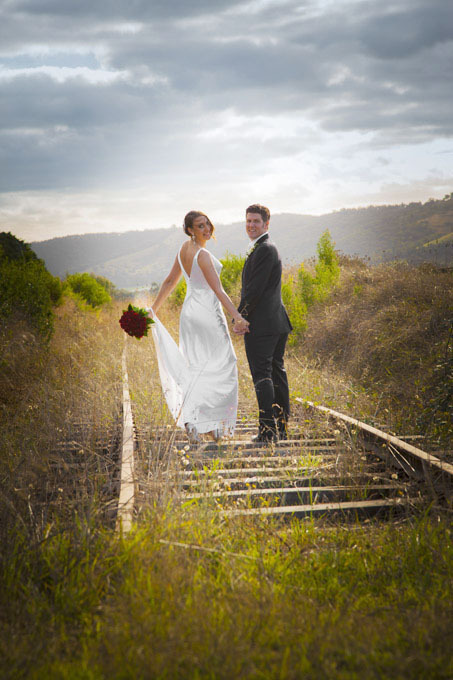 Each and every image we deliver to our couples are digitally processed, ensuring sharpness and correct colour balance. It is when our couples order an album or any printed piece that the benefit of having a gifted retoucher at your disposal becomes apparent. Not only did Carmen spend the entire with you photographing your day she will also spend hours perfecting your images for your final piece. Whether it is object removal, beauty or creative styling you will receive a final piece that we are happy to call artwork. This is an example of the DIGITAL PROCESSING that we do with all images we deliver to our couples. The BEFORE image is the RAW file which is straight out of the camera with no processing at all. This RAW file contains all of the information we need to transform the image to the photograph we had in mind when it was originally taken. We rarely get asked to hand over the RAW files and it is of no benefit to our couples. We use special software to convert what is essentially a digital negative into a useable file. It is generally accepted today that the only universal format recognized by all systems is jpeg. Sometimes circumstances on the day don’t allow us to get quite the composition we would like. In this case it was a hot day and I knew the lamp post was growing out of the Grooms head at the time of shooting but we also knew we could fix it in post production. The couple can’t see what we see and to ask them to move a little this way and a little that is a sure fire way of frustrating the already baking couple. We undertake this level of retouching to any of printed products. So when you include an album say, each image is gone over with a fine tooth comb. This level of retouching is something we undertake for any final piece depending on our creative vision for the image. The inspiration may come from our couple or it may just jump out at as. 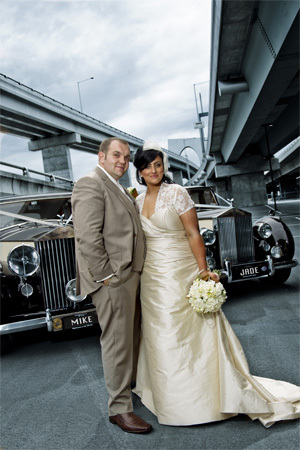 In this image Jade and Michael were after a location that contrasted the old and the new of the cars in a modern city. The flyover was perfect. To enhance the creative aspect of this vision we warm toned the cars and the couple and pushed a cool tone through the background. The personalised number plates were a last minute addition. We can’t let all of the hard work that your hair and makeup artist put into you be destroyed by a 35 degree Melbourne day. There is no doubt that up until we headed out into the blistering day for your bridal shots your make up was flawless. It would be great to have your make up artist on standby for the rest of the day but we all know this is just not practical and after a couple of hours in the elements your make up artists hard work has suffered some what. Do not fear, Carmen is here! Decades of retouching has honed her skill to reproduce the look you first had when you hoped off the make up chair. 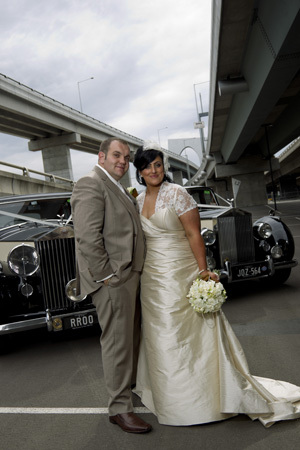 Our job is capture your beautiful day and if Melbournes weather plays around with our plans then we fix it. This level of retoouching is quite time consuming but it is a level of detail we process all of your images that are included in an album or any final piece.